If it's only the best toners for HP LaserJet 3392 printers you need to get, then your choice is clear. We only stock toner cartridges which are fully compatible with your printer, so you don't have to stress about the cartridges resulting in damage and even producing sub standard prints. Choose Cartridge Save to take advantage of the huge stock of new laser toner cartridges for the LaserJet 3392 printer! If you need a shop that offers the best customer support and the lowest rates on HP laser toner cartridges, Cartridge Save should be the best shop for you! With Cartridge Save you will find free delivery as standard with any sale, no matter what you have purchased. Out of the many 100s of orders we send out every day, about 98% have arrived the following day. In order to give you even more security, each HP LaserJet 3392 toner you buy on our shop has a full cash-back guarantee. Spend less cash when you purchase at Cartridge Save! 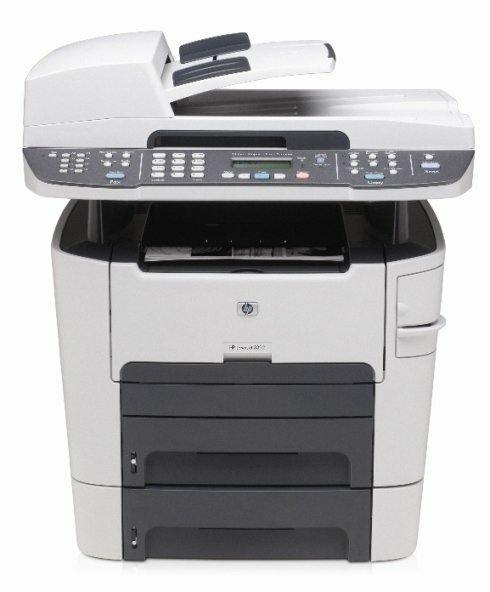 A monochrome printer, fax machine, scanner, and copier that offers excellent print speeds and laser-quality outputs, the HP LaserJet 3392 All-in-One printer is a versatile choice for people looking to equip a small office or their own home office. It also offers expandability, with optional paper trays and other additional features. The HP LaserJet 3392 printer is a high-yielding unit, offering a high monthly duty capacity. The HP 3392 laser printer, however, is inferior to other competing units when it comes to print speed and quality, although it can still perform well, especially for small to mid-volume printing requirements. The HP LaserJet 3392 is still compact at 18.5x19.5x15.7 inches. The LaserJet 3392 features a built-in automatic document feeder, which allows users to easily process multiple-page documents, especially when using the fax, scan, and copy features. It weighs nearly 40 pounds, which makes it more suitable as a fixed unit. The HP LaserJet 3392 All-in-One has a basic design, which makes it easy to operate. It has larger paper capacity, and a monthly duty cycle of up to 10,000 pages, which is higher than many competing models. Its toner cartridges can produce up to 2,500-6,000 pages. The HP LaserJet 3392 prints at a rate of about 22 pages per minute, and has a rather impressive 'first page out' time of 8 seconds. The HP LaserJet 3392 multifunction printer is a good addition to home or small office settings. However, the LaserJet 3392 monochrome printer cannot produce colour output.